Red Flannel Hash is just about as New England as you can get, it has warmed the bellies of many a farmer and family for upwards of a century. Customarily eaten the day after serving a traditional New England Boiled Dinner, the hash is made by chopping the leftover corned beef, potatoes, carrots, turnips and cabbage, and frying it up in a cast iron pan with a big old knob of butter and topping with soft cooked egg. 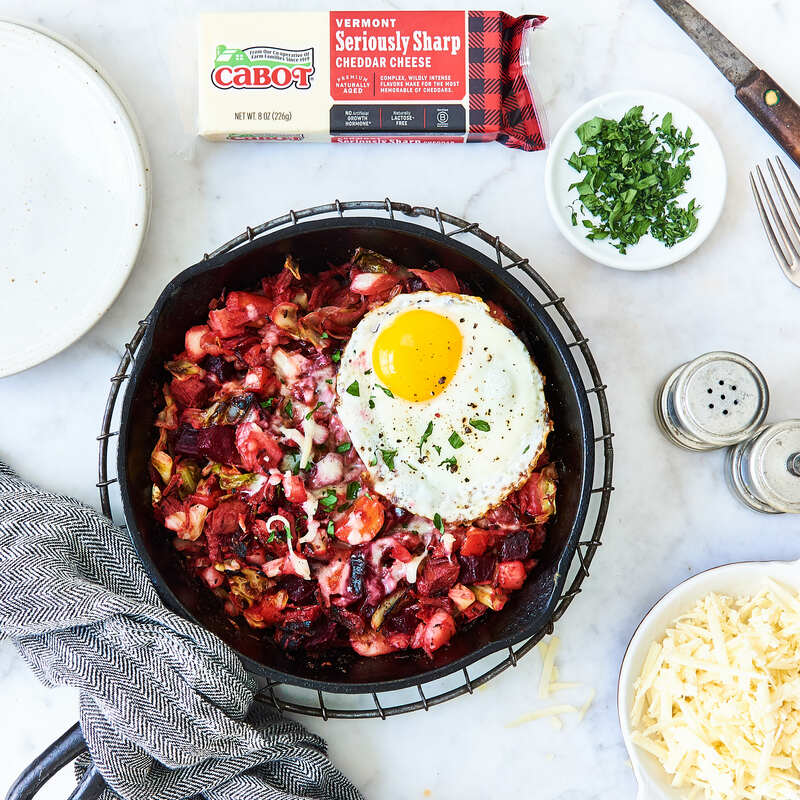 The “red flannel” part happens with the addition of cooked beets, and in typical Cabot fashion, we’re going red flannel all the way, and better yet, topping it all with a big handful of Cabot Seriously Sharp Cheddar Cheese! HEAT an 8-10” cast iron pan to medium-high and melt the butter. Add chopped corned beef and vegetables and let them sit undisturbed for 2 to 3 minutes allowing a nice crust to form. Turn the hash over carefully. 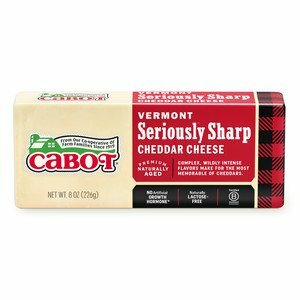 When you notice a nice crust forming and hash is heated through, sprinkle a handful of Cabot Cheddar on top, turn off the heat and place a lid over the top to melt the cheese and keep the hash warm. HEAT another pan for the eggs (or bring water to a simmer for poaching if so desired). Add butter to melt and fry your egg(s) way you like them, sunny, over (or poached). Top the hash with the eggs in the pan and serve from there or plate the hash and top with eggs. Serve with a side of apple cider vinegar or horseradish, or more cheese!